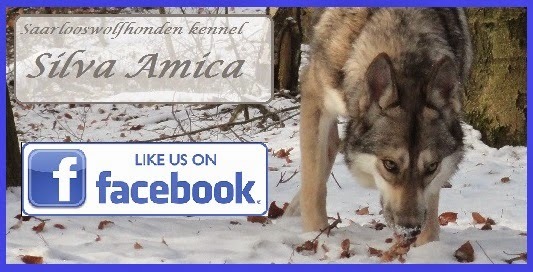 " Knowing that one day the Nez Perce would be providing an home for the pack, I decided to give the new wolves Nez Perce names. 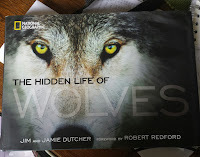 The gray male received the name Wahots, the Nez Perce word for 'howls a lot' or 'likes to howl' Of course we had no way of knowing what kind of personality Wahots would grow up to have, but it seemed like an appropiate name for a wolf. Oddly enough, he did end up beïng one of the most vocal members of the pack. To Wahots' nearly identical sister we gave the name Wyakin. Wyakin is a guardian spirit said to come to Nez Perce children during vigils, revealing truth about life and teaching special songs. " 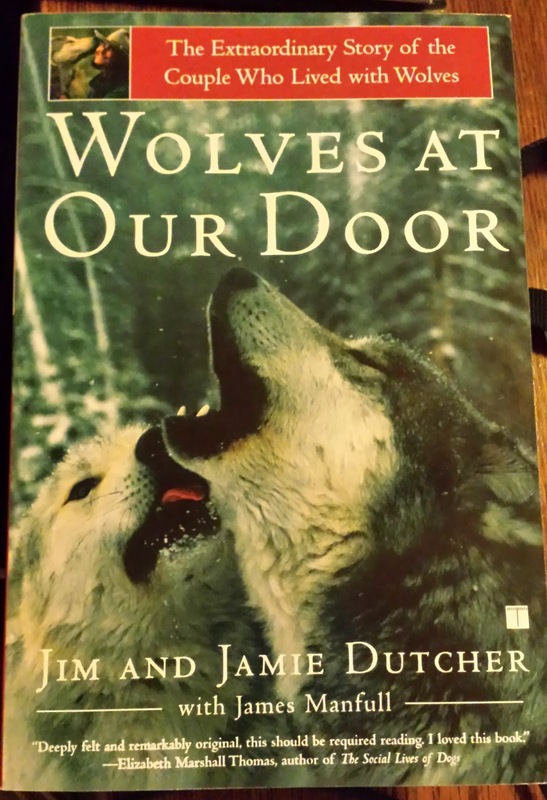 Uit: Wolves at our Door, by Jim and Jamie Dutcher.
" Wyakin and Wahots: two of the three new arrivals were a brother-sister pair. Both were gray with light tan and brown markings. Wyakin was a feisty little female with an enormous appetite. Her brother, Wahots, had a more gentle spirit, but he loves outsmarting his sister. Whenever she ate, Wyakin would gorge herself and then grab more and stash it away. Wahots quickly learned to watch where she wnet. Once she was done, he'd stroll off nonchalantly and eat every one of her caches. A little later we'd see Wyakin checking each of her hiding spots, perplexed. She never did catch on. 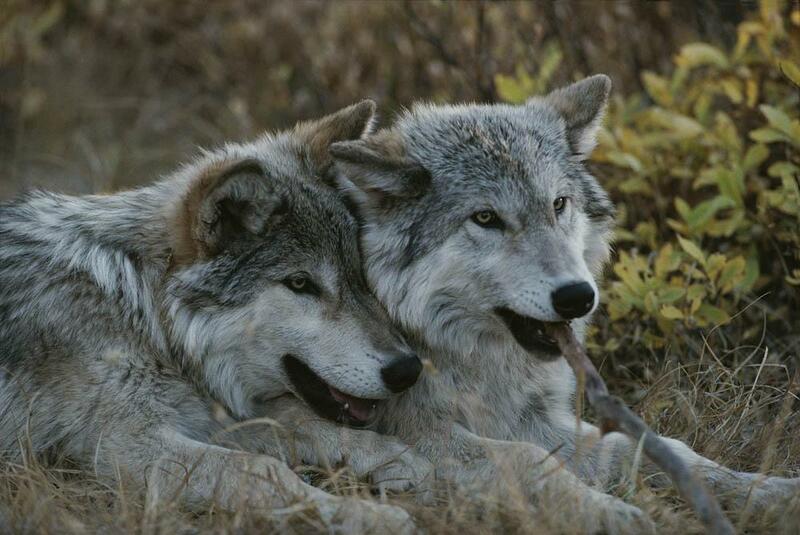 Wahots en Wyakin never let us forget that a wolf pack is a family. From the moment these two entered the world, they were inseparable. They spent what seemed like hours engaged in games - subtle expressions of dominance but also of deep affection-, highlihting the familybonds that hold a pack together." Uit: The Hidden Live of Wolves, by Jim and Jamie Dutcher.